Would you like a piece of unique art painted just for you? I have been approached and done several art commissions over the past couple of years, so thought it might be a good idea to have a page on the Art In Wax website to make this option more readily available. Please visit the Art Commissions page to see how easy it is to commission a unique piece of Art In Wax. All art commissions are in my style of Art In Wax and can be flowers, landscape and seascapes, Lady fashion style pieces, and can be large or small pieces. I am up for a challenge so please contact me with your suggestions. It is easy to commission a piece of Art In Wax so why not treat yourself or maybe have a piece commission as a gift ……. Commissioned art can be a single piece of art or a set of two or more paintings. 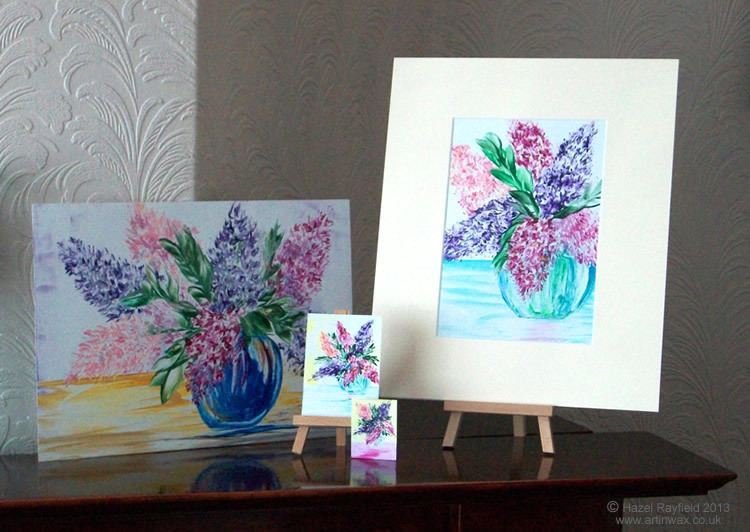 Simply contact me via my website, giving brief details of your commission idea, the subject and painting size and we can communicate via email to discuss creating a unique piece of art for you. It really is as easy as that to get the ball rolling!